Quilt Kit for "March Winds" quilt. 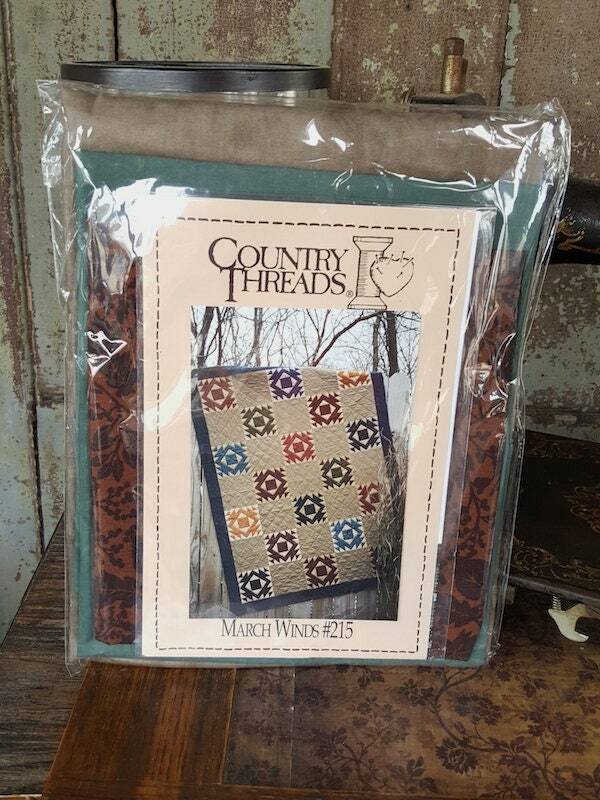 Pattern created by Country Threads, and fabric kit put together by us here at Cottage Threads. 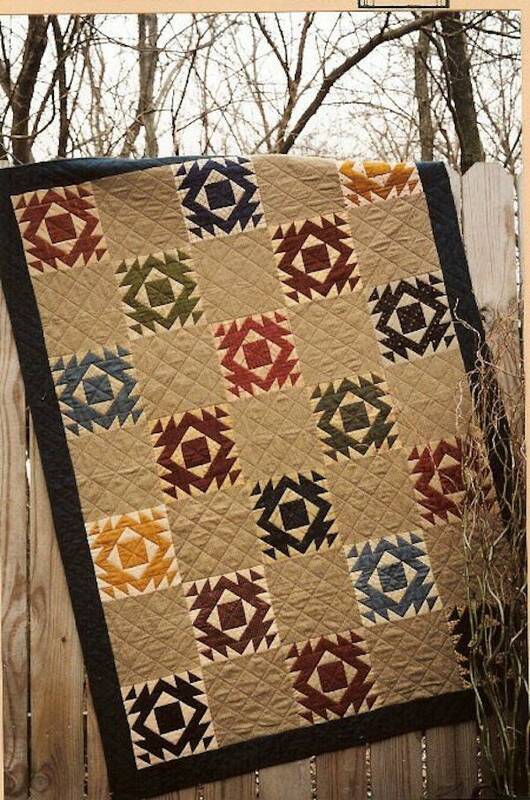 This traditional block, which is copied from an antique quilt, resembles a 1937 broken window block. This kit includes the Pattern and all the fabrics you need for the quilt. 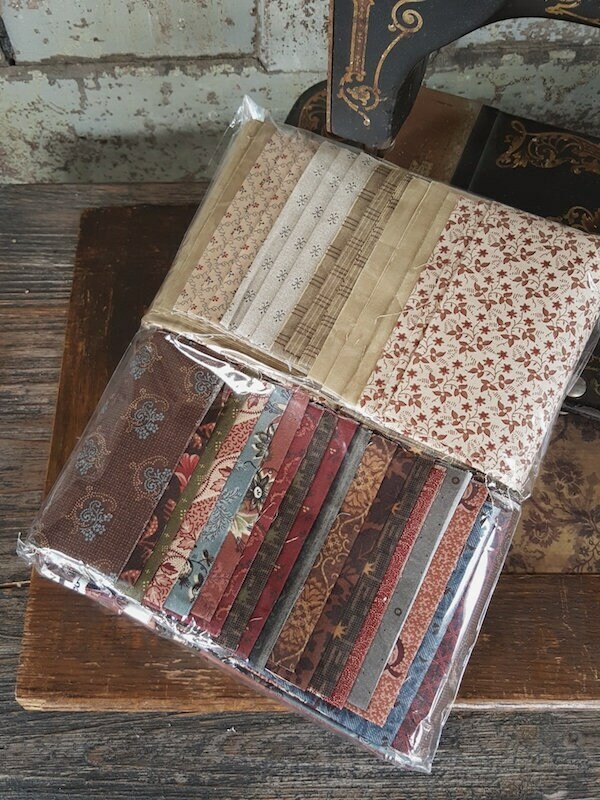 All fabrics are hand selected by Cottage Threads to produce a beautiful block quilt in a variety of similar tones as original design. Finished size is 51" x 69".